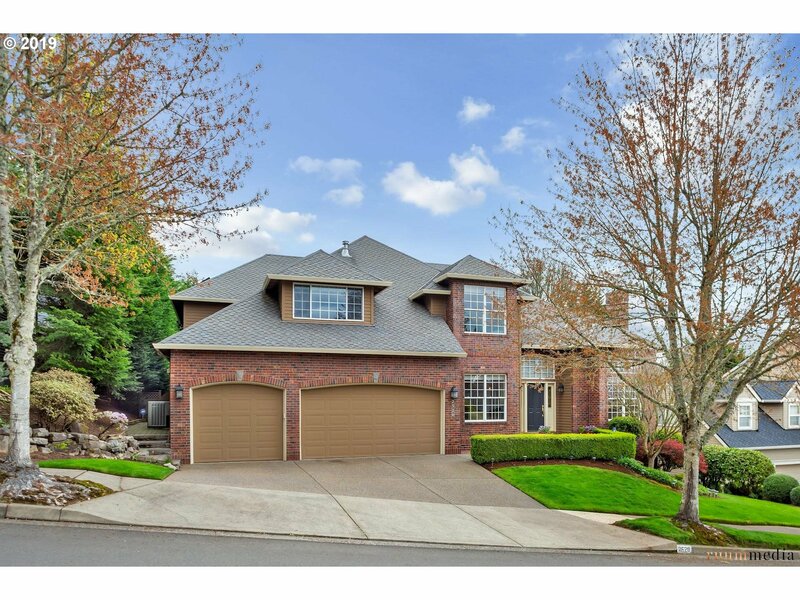 All CASCADE SUMMIT homes currently listed for sale in West Linn as of 04/24/2019 are shown below. You can change the search criteria at any time by pressing the 'Change Search' button below. "Elegant home in sought-after Cascade Summit. Entry with vaulted ceilings, home office, formal living & dining rooms with ample natural light, family room & updated kitchen. Lovely master suite with large walk-in closet, plus 3 additional bedrooms, & upstairs bonus room (or 5th bedroom), & lots of storage. Covered patio & large deck with private backyard complete this home! Neighborhood pool, community room, sport court, parks & trails." "Incredible location next to park and down the street from Cascade Summit pool! Light & bright 2-story Great Rm w/wall of windows, opens to kitchen w/granite counters, den w/barn doors, bdrm on main. All 3 bdrms have attached baths! Relax on the deck overlooking the colorful yard & garden. Sprinklers, drip system. Newer furnace, AC, roof. Steps to park & summer concerts, walking path to Safeway, Starbucks, restaurants."